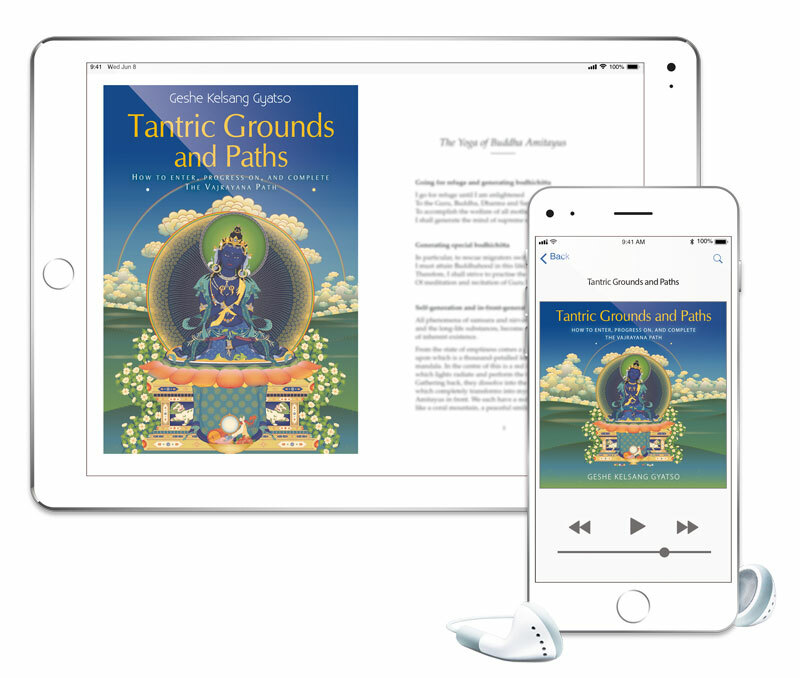 Tharpa Download Cards are a great way to 'gift' Tharpa digital products to your friends and family. They are credit card style cards on a backing card, with instructions on how to access your download. This physical card is shipped to the recipient and provides access (using a coupon code) to download the ePub/Kindle or MP3 file. You can also include a personalised gift message for the recipient during the checkout process. The products below are all available as Download Cards. To order a download card, go to the specific product page and add the DOWNLOAD CARD option to your cart. Prayers and guided meditation focusing on Amitayus, the Buddha of Long Life, Wisdom and Merit. The downloadable eBooklet is also included within the 'Amitayus Practice Bundle' (one of the products listed below).